Help us fulfill competitions – We need to use this information in order to contact you if you have won a World Book Day competition/promotion or ensure that your prize reaches you safely and securely. If we don’t know who you are, we aren’t able to provide you with the prize and complete the contract with you. 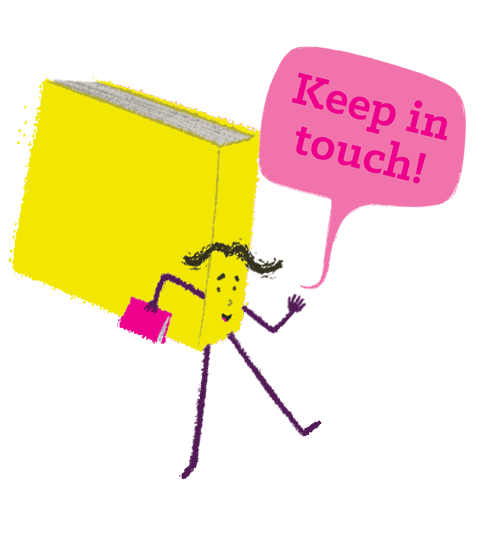 Send you information via email – We only do this with your permission to help keep you up-to-date on World Book Day news, events and competitions. If you choose not to consent to giving us any of the information above, you may be unable to enter any World Book Day competitions or promotions. Marketing agencies and service providers such as MailChimp, who assist us in delivering our marketing strategy. If you have given us permission, we’ll send you marketing by email to keep you up-to-date with the goings-on at World Book Day. If you do either of the above we will update your preferences so that you do not receive any further marketing from us. We will only hold on to your information for as long as is needed to provide you with our service. If necessary, we will hold onto your information after a competition or promotion has ended in order to meet legal or regulatory requirements, resolve cases of fraud or abuse or enforce our terms and conditions. If you have any questions or comments, or if you want to update, delete or change any Personal Information we hold, or you have a concern about the way in which we may have handled any privacy matter, please contact us at hi@worldbookday.com.